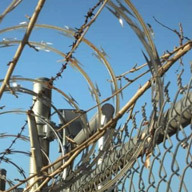 CONCERTINA WIRE MANUFACTURER WELCOMES YOU !! 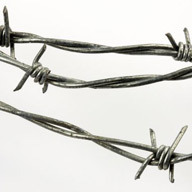 Om Wire & Wire Products Industries has setup benchmark in the market for its premium quality products. 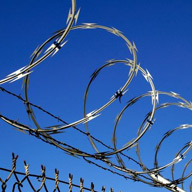 The company is a noted manufacturer, exporter& supplier of concertina wires, barbed wire & razor wire in Kolkata. Our wide array of products are available in standard as well as in customized configuration so as to meet the exact requirements of the industry. Being a foremost manufacturer, exporter & supplier, we developour products as per the prescribed guidelines. We use the state of the art machinery in compliance with latest technology while manufacturing our products. This ensures durability, reliability & long life. Backed by the strong international network, we are capable of offering our products in every corner of the world. We are committed to make our products at par in excellence to the international standards. That’s why, we engineer our products using premium quality raw materials. Our high rank customized products will certainly meet the end requirements of the industries. Moreover, our premium range of wires is available at affordable price. 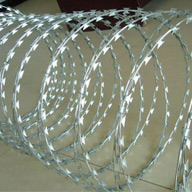 Om Wire & Wire Products Industries.